The Palma is a spacious and ultra-modern shower enclosure that is a great fit for any bathroom. This framed shower screen can be combined with rich marble tones to create a boutique feel. 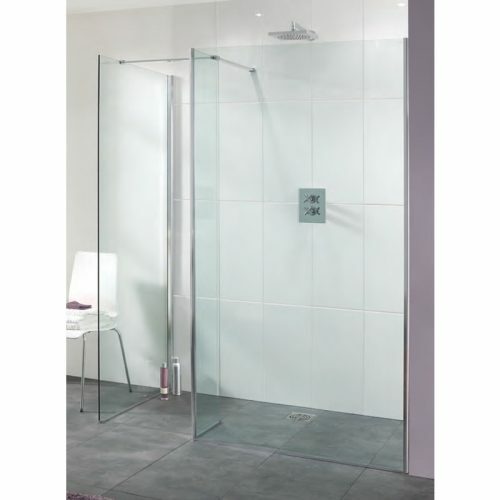 Rich, elegant and sophisticated, it can be used as a corner shower enclosure or a walk-in shower enclosure. Equipped with a polished silver frame, the Palma looks stunning to say the least. 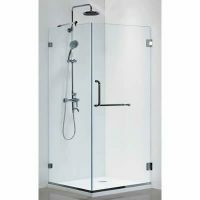 It consists of three units – a shower panel, a side panel and a bypass panel to create the ideal shower enclosure. 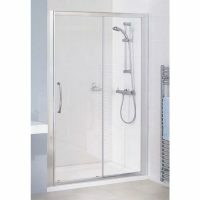 All panels are fully reversible and a standard bracing arm is supplied with the shower screen. The Palma measures 2m in height, which is suitable for most standard sized bathrooms. With superior workmanship, the Palma shower screen is indeed a high-quality product. 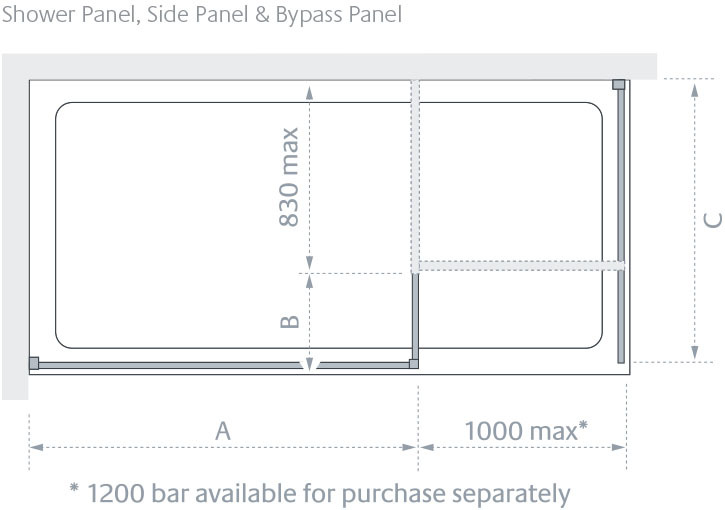 It features toughened safety glass of 8mm-10mm thickness, with AllClear coating on all glass panels. This makes the panel stain resistant and incredibly easy to clean. Moreover, this shower panel is designed for easy fit and installation, with wet room or tray installation included. The Palma shower screen is manufactured by Lakes Bathrooms and is covered by a remarkable lifetime guarantee. Purchase the elegant Palma shower screen for your bathroom from us at Ross’s Discount Home Centre. You’ll also avail of a 14-day money back guarantee! Please Note: To create your Palma shower enclosure you will need to select one product from each table. 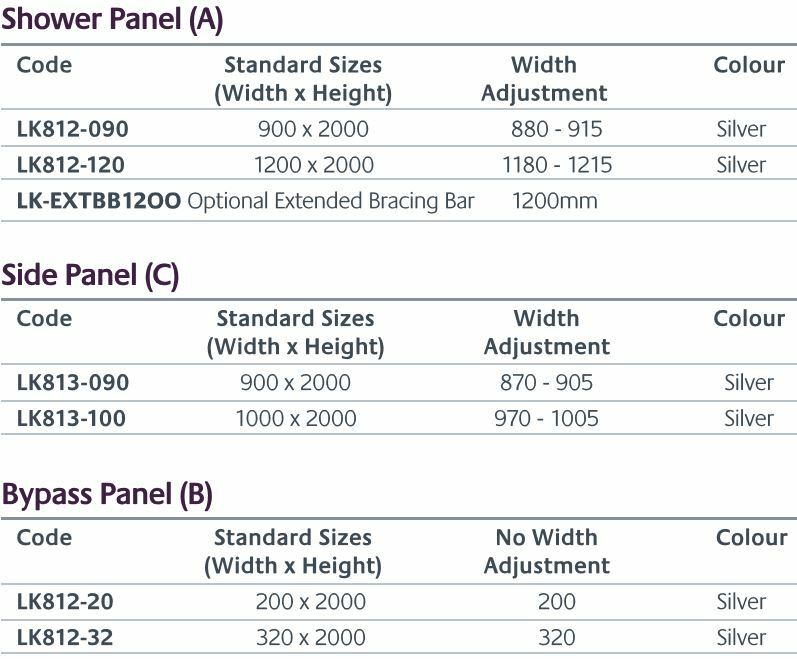 Standard bracing arm supplied with product.